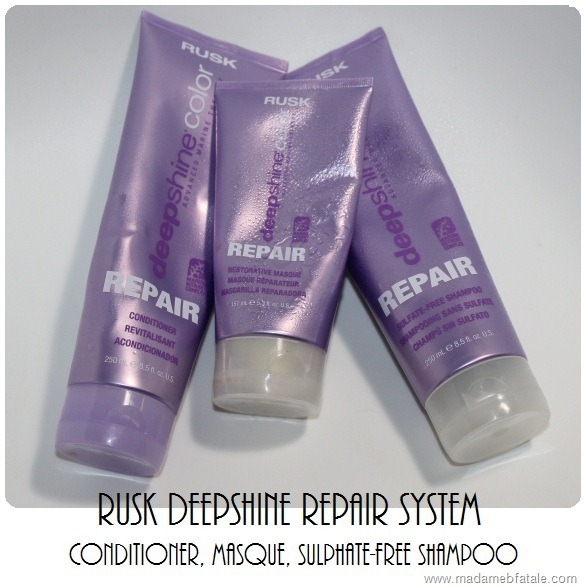 Besides cutting my hair off to my shoulders, trialing the Rusk Deepshine Repair range has possibly been the best thing I’ve done for my hair in a long time. I also purposely hadn’t dyed my roots for a few months while using these products to see how much of a difference a sulphate-free shampoo makes and there has been very minimal fading if any. The scent of the three products are on the sweeter side but don’t linger on the hair too much. If you haven’t used a sulphate-free shampoo before it can be a slight adjustment at first as you don’t get that (in my opinion awful) squeaky clean feel after it’s rinsed out. Overall my hair feels better, hasn’t been requiring as much work after I wash it (I mean I still have to blow dry my hair if I want it to stay nice for 3-4 days but I can live with that), fading has been minimal if any and it’s just in a general better condition than it was before. Will I keep using it, absolutely! I might give one of the other two types, smooth or hydrate a go to see what they are like. All three products mentioned in the range retail at $21.95 each. For stockist information it’s best to go to www.rusk1.com as sometimes I do have a bit of trouble getting a hold of the entire product line. Iive been quite impressed with the Rusk products I’ve been using so far and have two more to review soon, but check out my review of the Rusk Miracurl if you haven’t already here (its almost magic!). Disclosure: Products were provided for trial purposes, as always opinions are my own. I have been coloring my hair for many years (so it’s a little damaged). Do you know if this product makes color fade quicker in addition to repairing the hair? Because the shampoo is sulphate free it actually doesn’t help fade the hair as much as a shampoo with it.